Friday (August 17) night’s screening of Walt Disney’s Pixar Division’s BRAVE will mark the last time the seats installed in the Fiske Theatre when she was built in 1950 will see the patrons they have greeted for over 62 years, as she will begin the final phase of her make-over on Saturday with the removal of all seats on the main level. 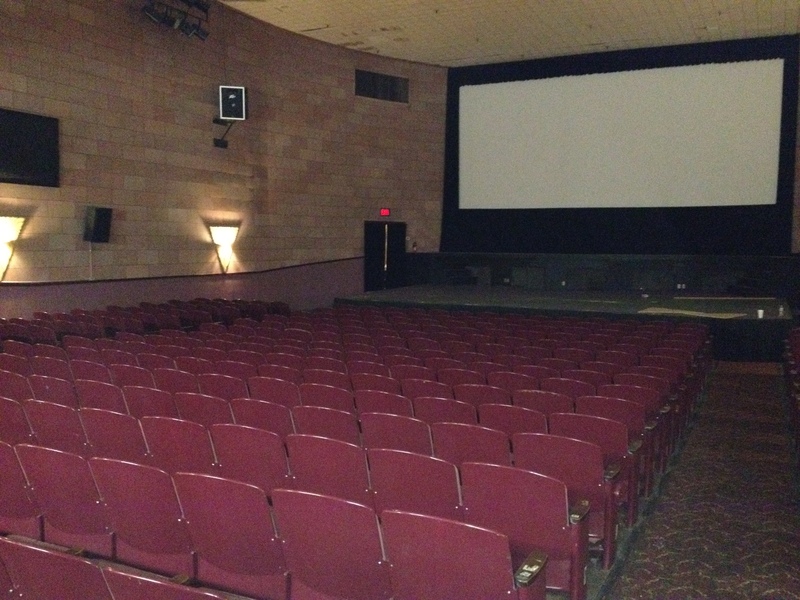 The final phase which includes the replacement of the seating on the main floor, and the repair and painting of the ceiling is part of the West Carroll Chamber of Commerce’s Operation 2012 Project to restore the Fiske Theatre. The chamber’s Operation 2012 Committee has raised over $30,000 through private donations which has funded the largest renovation of the theatre since her doors opened on April 17, 1950. The chamber is also requesting volunteers to help with the removal of the seats Saturday morning beginning at 8 am. It is the chamber’s goal to have all of the seats removed on Saturday in order for the painters to move in on Monday to begin work. Though the main floor of the theatre will be closed for the duration of the restoration, theatre operation will go on as scheduled with a complete line-up of movies for the month of August and September. The anticipated reopening of the main floor will be September 20 with a VIP Gala and screening of Merle Streep and Tommy Lee Jones’ latest picture “Hope Springs.” The main floor will open to the general public on Friday, September 24. Donations are still being accepted by calling John Elliott at Regions Bank 318-428-9626 to fund any unexpected expenditures related to the project, with the balance being placed in a savings account for future necessary repairs. The theatre was donated to the chamber in 1988 by the late Donald B. Fiske and is operated by Holland Entertainment LLC of Oak Grove. All funds raised for Operation 2012 were used for theatre restoration and the books for the project will be made available upon request. Below is a poem written to celebrate this momentous night which was written by Sister Gussie Ninemire of the First Church of God in Oak Grove. Decide just what you’d like to pay.